What do you want your audience to do when you finish speaking? Persuasive speakers move people to action, in part by understanding their audience. The study of persuasion dates back thousands of years, to the ancient Greeks, who treasured the art of public speaking. One of the most frequently cited works from this period is Aristotle’s Rhetoric, in which Aristotle famously defines rhetoric as “the ability, in each particular case, to see the available means of persuasion.” Modern persuasion scholars focus less on the art of the speaker and more on the decision-making processes of the audience. If we understand the audience’s decision-making process, we can alter our approach to fit the situation. These five books can help you develop that ability. 1. 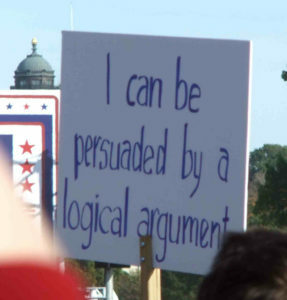 Thank You for Arguing: What Aristotle, Lincoln, and Homer Simpson Can Teach Us About the Art of Persuasion By Jay Heinrichs Classical rhetoricians recognized two modes of persuasion as important to a logical argument: pathos (emotion) and ethos (character). Heinrichs brings these lessons to life for modern readers. 2. Compelling People: The Hidden Qualities That Make Us Influential By John Neffinger and Matthew Kohut This book posits that audiences believe speakers who are credible and trustworthy. They also look for signs of good character in the way speakers present themselves and are more likely to agree with those who exhibit strength and warmth. 3. 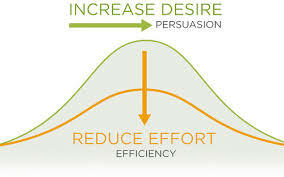 Influence: Science and Practice By Robert Cialdini Are attractive people more persuasive? Does the candy bowl on your desk really work? Robert Cialdini describes the mental shortcuts we use in daily decision-making and how they can be exploited to trigger automatic responses. 5. Pre-Suasion: A Revolutionary Way to Influence and Persuade By Robert Cialdini “Frequently the factor most likely to determine a person’s choice … is one that has been elevated in attention … at the time of decision.” Like Nudge, this book focuses on the advantages of reframing our requests to make them more agreeable. ⟵Top 5 tips to Survive Christmas Parties!